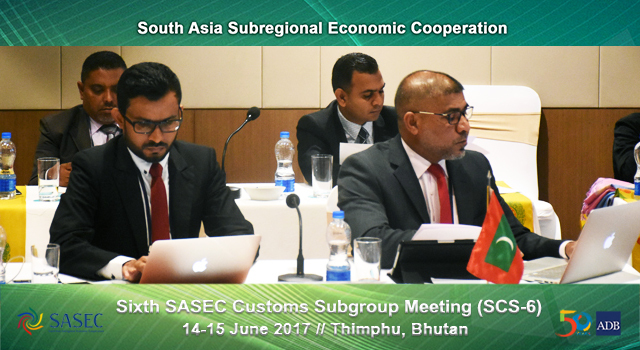 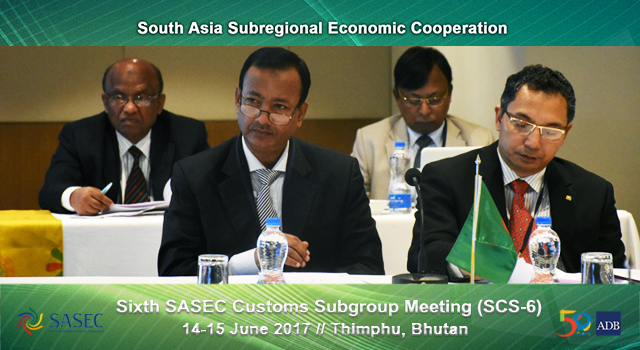 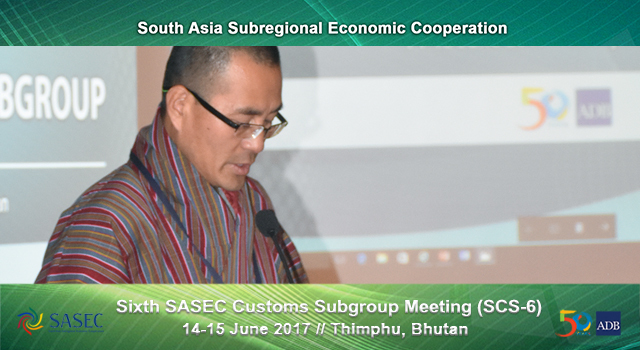 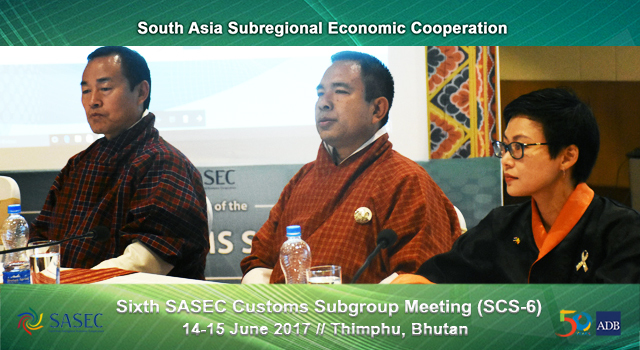 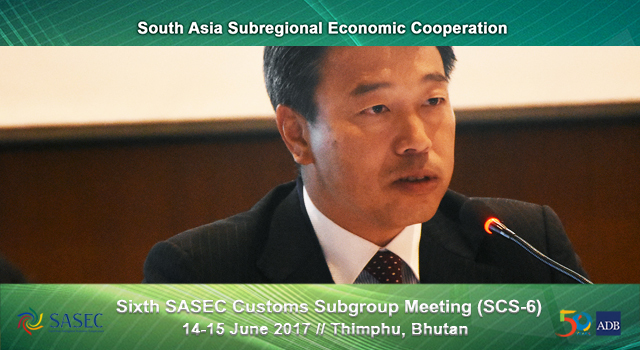 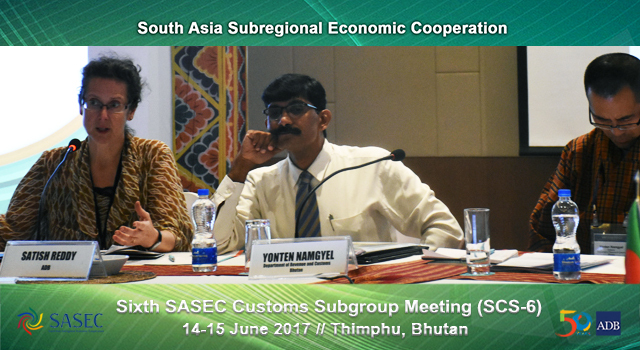 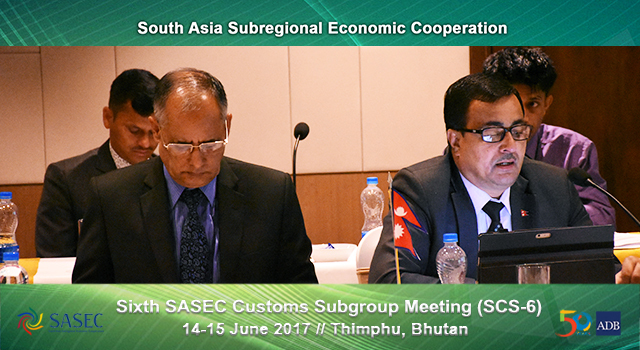 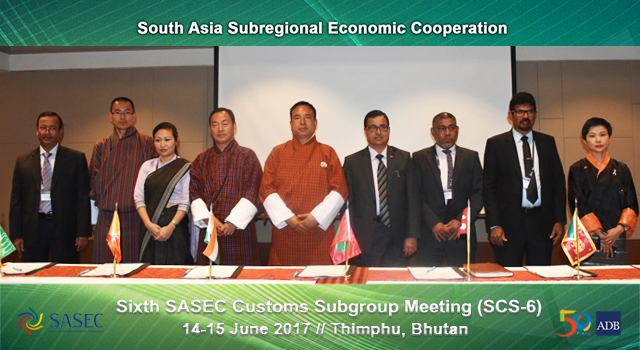 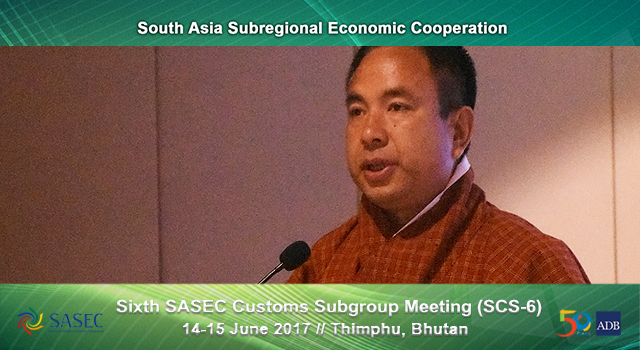 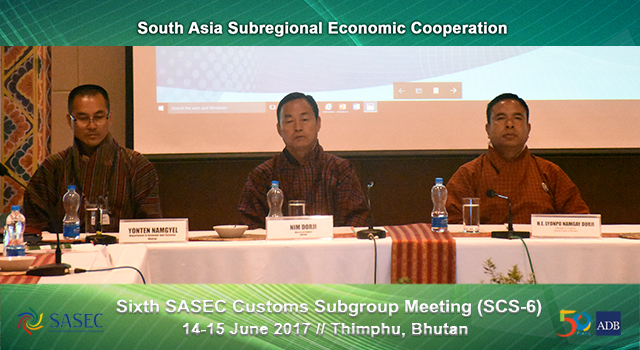 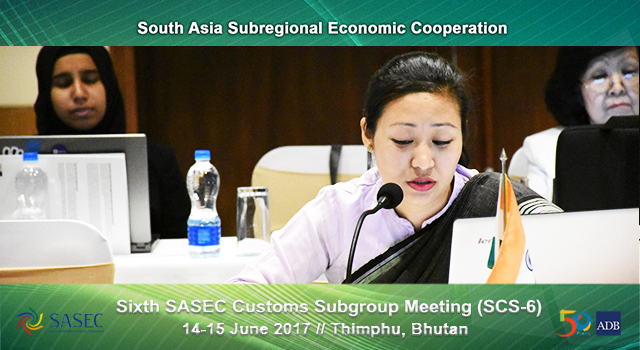 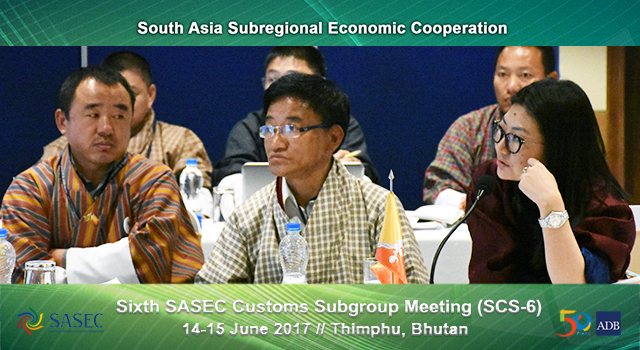 The Sixth SASEC Customs Subgroup Meeting (SCS-6), held on 15 June 2017 in Thimphu, Bhutan, was opened by the Honorable Lyonpo Namgay Dorji, Finance Minister, with Mr. Nim Dorji, Finance Secretary, and Ms. Kanokpan Lao-Araya, Asian Development Bank (ADB) Bhutan Country Director. 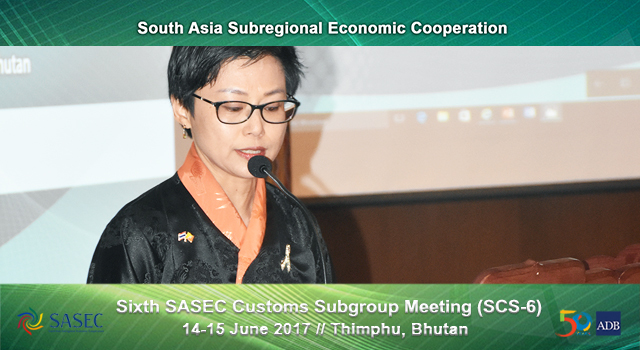 The Finance Minister’s inaugural address stressed the importance of regional cooperation in promoting cross-border trade and praised SCS progress in enhancing subregional trade efficiency through Customs reform and modernization measures. 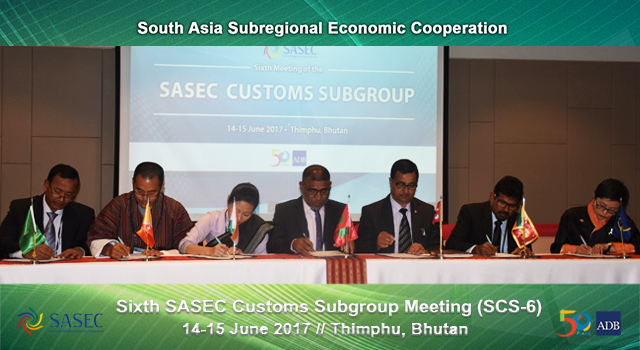 Signing of a Memorandum of Intent (MoI) for Cooperation in Customs Capacity Building, providing a framework for cooperation between and among the Customs administrations of participating SASEC countries and ADB, with the Indian National Academy of Customs, Excise and Narcotics (NACEN) as a resource center. 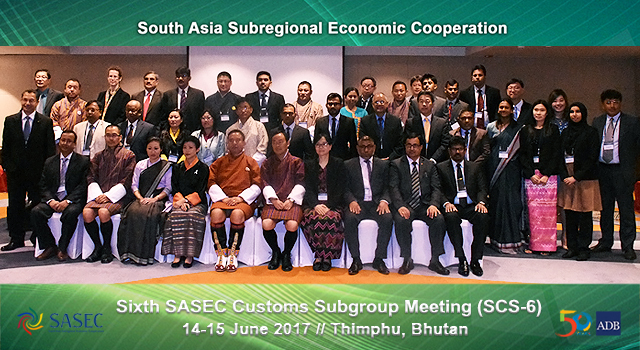 Initial identification of SASEC members’ capacity-building needs to better implement the World Trade Organization Trade Facilitation Agreement (WTO TFA), and agreement on how to go forward in building required capacities. 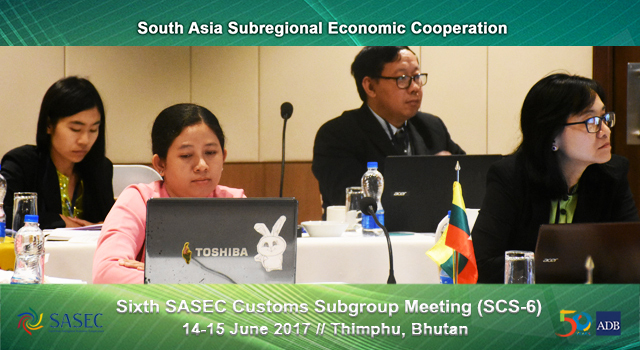 A Learning Event on 14 June 2016 worked to determine priority capacity-building needs of the SASEC countries in implementing the WTO TFA, so they may be included in the SCS work plan 2017-2018. 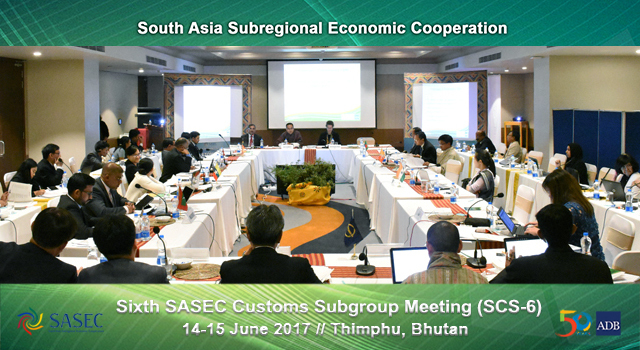 SASEC delegations presented the status of TFA provisions in their respective countries; and presentations from the WTO Regional Office for Capacity Building for Asia and the Pacific, World Customs Organization, and Korea Customs Service laid out how these organizations can assist the SASEC countries develop capacity to better implement the TFA. 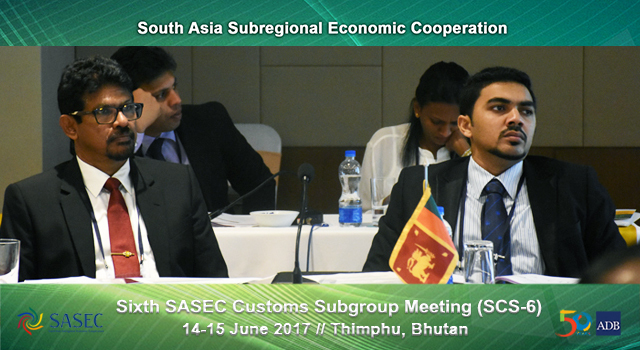 Discussions concluded the need to expand training into new areas included in the WTO TFA. 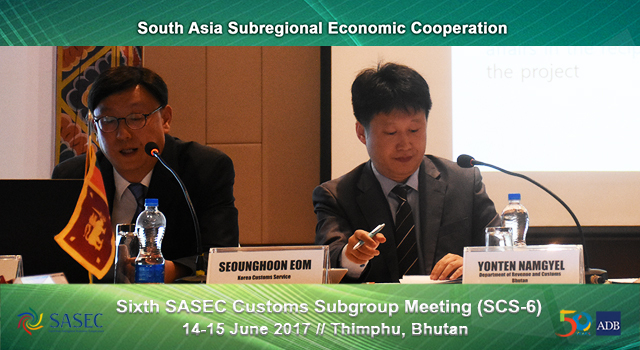 The Korea Customs Service, in collaboration with ADB, has signified support for future training initiatives. 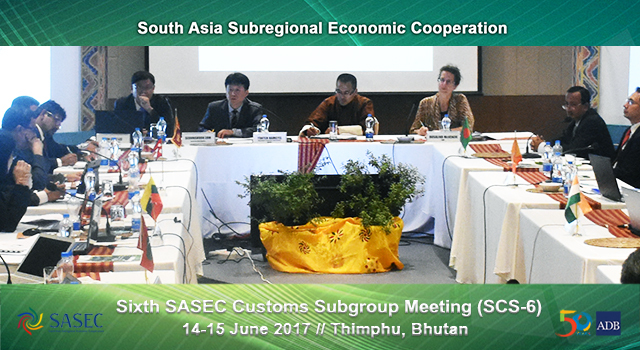 The Meeting was attended by SASEC Customs officials; resource persons from Korea Customs Service, and WCO Regional Office for Capacity Building for Asia and the Pacific; and ADB staff and consultants.